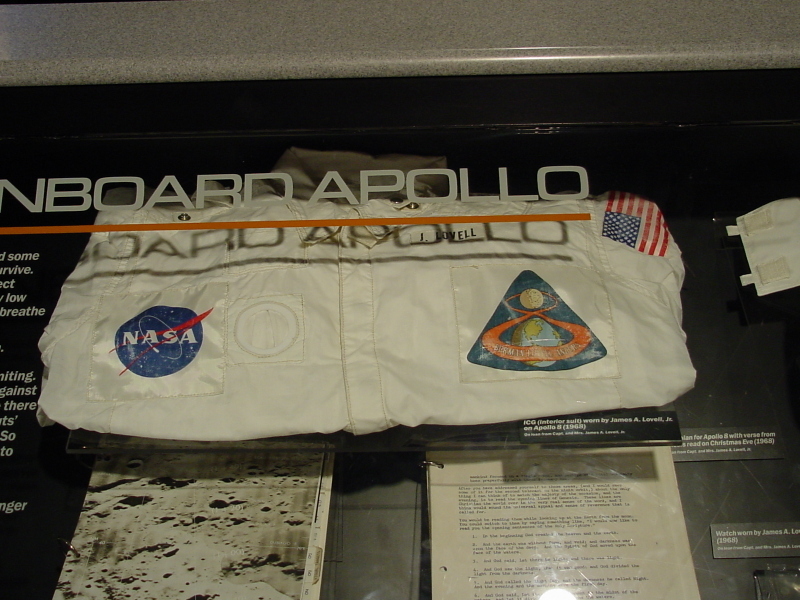 Lovell's Apollo 8 inflight coverall garment. On loan from Capt. and Mrs. James A. Lovell, Jr.
To the lower right is the Apollo 8 flight plan.